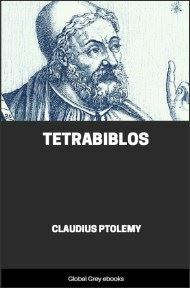 Tetrabiblos ('four books'), also known in Greek as Apotelesmatiká, and in Latin as Quadripartitum, is a text on the philosophy and practice of astrology, written in the 2nd century AD by the Alexandrian scholar Claudius Ptolemy. Ptolemy's Almagest was an authoritative text on astronomy for more than a thousand years, and the Tetrabiblos, its companion volume, was equally influential in astrology, the study of the effects of astronomical cycles on earthly matters. 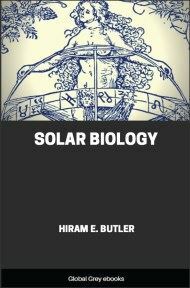 But whilst the Almagest as an astronomical authority was superseded by acceptance of the heliocentric model of the solar system, the Tetrabiblos remains an important theoretical work for astrology. 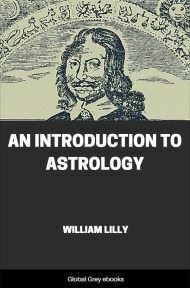 It is described as "indispensable" for serious students of astrology. 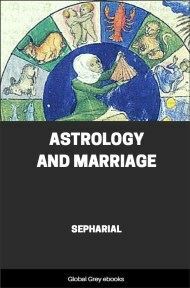 OF all sciences, whether true or false, which have at any time engaged the attention of the world, there is not one of which the real or assumed principles are less generally known, in the present age, than those of Astrology. The whole doctrine of this science is commonly understood to have been completely overturned; and, of late, people seem to have satisfied themselves with merely knowing the import of its name. Such contented ignorance, in persons, too, sufficiently informed in other respects, is the more extraordinary, since Astrology has sustained a most conspicuous part throughout the history of the world, even until days comparatively recent. In the East, where it first arose, at a period of very remote antiquity, and whence it came to subjugate the intellect of Europe, it still even now holds sway. In Europe, and in every part of the world where learning had "impress’d the human soil," Astrology reigned supreme until the middle of the 17th century. It entered into the councils of princes, it guided the policy of nations, and ruled the daily actions of individuals. All this is attested by the records of every nation which has a history, and by none more fully than by those of England. Yet, with these striking facts before their eyes, the present generation seem never, until now, to have inquired on what basis this belief of their forefathers was established, nor by what authority the delusion (if it was one) could have been for so many ages supported. Among a thousand persons who now treat the mention of Astrology with supercilious ridicule, there is scarcely one who knows distinctly what it is he laughs at, or on what plea his ancestors should stand excused for having, in their day, contemplated with respect the unfortunate object of modern derision. The general want of information on these points, and the indifference with which such want has been hitherto regarded, cannot surely be attributed solely to the modern disrepute of the science; for mankind have usually, in every successive age, exercised great industry in tracing all previous customs, however trifling or obsolete, and in examining all sorts of creeds, however unimportant or erroneous, whenever there has appeared any striking connection between such matters and historical facts; and, since astrology is most unquestionably blended intimately with history, it therefore becomes necessary to seek for some further hypothesis, by which this ignorance and indifference may be accounted for. Perhaps astrology has been conceived to have borne the same relation to astronomy as alchymy did to chymistry. If such has been the notion, it has certainly been adopted in error, for a modern chymist is still almost an alchymist: it is true that he no longer delays his work in deference to the planets, nor does he now try to make gold, nor to distil elixir of earthly immortality; but nevertheless he still avails himself, to a certain degree, of the same rules and the same means as those of the old alchymist: he is still intent upon the subtle processes of Nature, and still imitates her as far as he can. He reduces the diamond to charcoal by an operation analogous to that by which the alchymist sought to transmute lead into gold; and he mainly differs from the alchymist only in having assured himself that there is a point beyond which Nature forbids facsimiles. Not so slightly, however, does the astronomer differ from the astrologer, but toto cælo: the astrologer considered the heavenly bodies and their motions merely as the mechanism wherewith he was to weave the tissue of his predictions; and astronomy is no more an integral part of astrology, than the loom is of the web which has been woven by it. 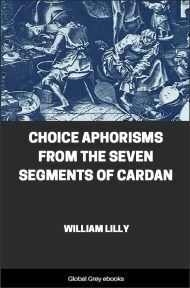 To have an idea of what alchymy was, it is sufficient to have an idea of chymistry; but astronomy, in itself, will never give a notion of astrology, which requires additional and distinct consideration. It may be urged, that in the present day a general idea of this by-gone and disused science is quite sufficient for everybody not professedly antiquarian. Such an assertion would doubtless never be controverted, provided the proposed general idea might comprehend the truth. But the present actual general idea of astrology is by no means so comprehensive; indeed, nothing can well be more inaccurate, or even more false: it seems to have been adopted not from the elements of the science itself, but from trite observations made by writers against the science; and consequently the world now wonders at the lamentable defect of understanding that could ever have permitted belief in it--forgetting that astrology has been consigned to neglect, not in consequence of any primâ facie palpability in its imputed fallacies, nor indeed of any special skill or acuteness on the part of its professed adversaries, but rather in consequence of the sudden and astonishing growth of other undoubted sciences, with which it has been presumed to be incompatible, and which during the thousands of years of the reign of astrology were either unborn, or still slumbering in continued infancy. The words "professed adversaries," which have just now been used, are of course not intended to be applied to those mighty explorers of Nature's laws and man's powers, who, in their lofty career, may have made an incidental swoop at the pretensions of astrology. Directly engaged in more exact pursuits, they stopped not to dissect this their casual prey, which, after having been thus struck by eagles, was left to regale crows and daws, and these, in their convivial loquacity, accused their unfortunate victims of crimes incapable of being committed, and of offences which had never been imagined. Of the real faults of their victim these garrulous bipeds seem not to have been aware, or, if aware, they seem to have considered them as not sufficiently prominent.